October is Liver Cancer Awareness Month, which makes it a good time to brush up on the facts and signs of this disease. Most people don't have signs and symptoms in the early stages of primary liver cancer. When signs and symptoms do appear, they may include losing weight without trying; general weakness and fatigue; and white, chalky stools. It's not clear what causes most cases of liver cancer, but factors that increase the risk include chronic infection with hepatitis B or hepatitis C, diabetes and excessive alcohol consumption. 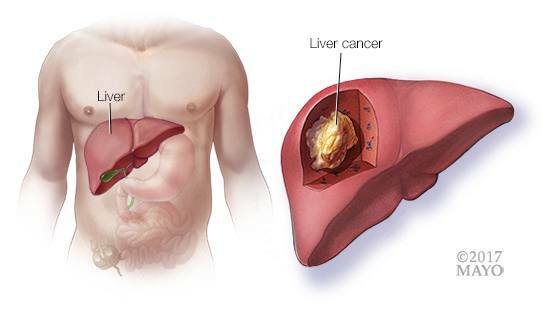 Learn more about liver cancer, how you can reduce your risk and when you should consult your health care provider. Breast reconstruction is a surgical procedure that restores shape to your breast after a mastectomy. Breast reconstruction with flap surgery involves taking a section of tissue from one area of your body — most often your abdomen — and relocating it to create a new breast mound. Learn how you can prepare for this procedure and what to expect.